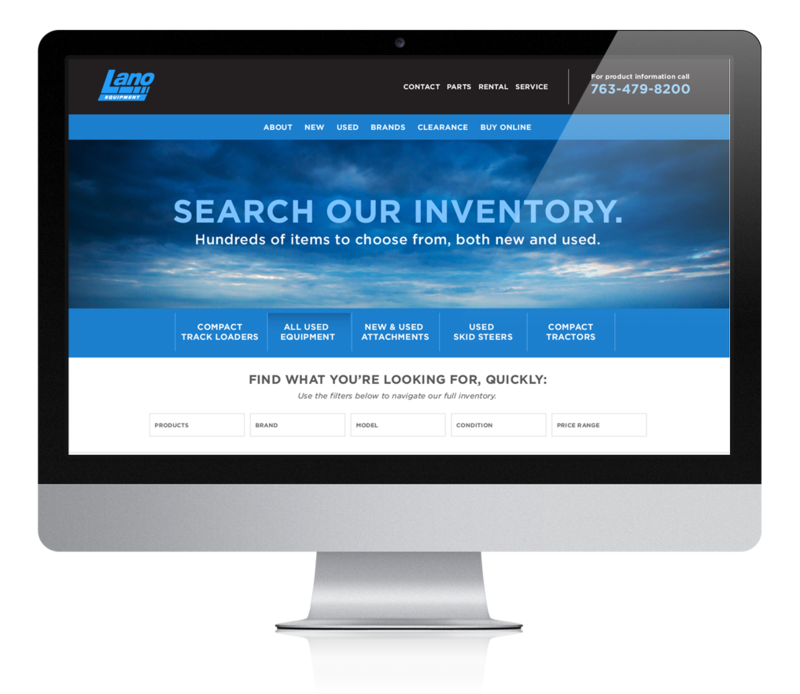 Google Analytics told us that users of this site, buyers of used construction equipment, were interested in an easy-to-search website that would allow them to find products by brand, model, condition, and other attributes. The new website is designed to make it as easy as possible to find the products they need, as quickly as possible, and then respond via email form, or buy products online. A full-screen responsive interface utilizing faceted search capability allows users to quickly access the products they need, and then continue to drill down using other search criteria. This custom WordPress theme uses WooCommerce as its primary database to display over 1000 inventory items, all searchable using categories and attributes. Users can buy products priced from as low as $50 up to $2,000 – $3,000 or simply inquire via a simple button that triggers an email alerting sales staff of the exact product they need.